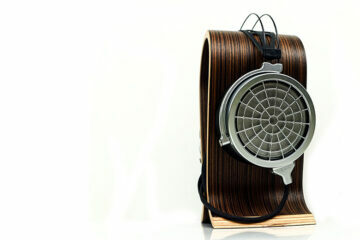 I resisted actually from detailing the guts of this new Kingsound electrostatic headphone system in the title of this review because in actual fact there are two official components and in my hand a prototype or brand new headphone for the system that I am not entirely sure it is on the market just yet. Truth be told I have been in possession of the “Emperor” headphone and solid state amp system from Kingsound for a few months now and Simon Lai of Kingsound and I have been chatting back and forth about how everything works, the innards of the amps and the headphones to the point where rev 2 of these cans came out and I still have not done the review yet. Wow, call me slow or call Kingsound fast I am not sure but in any event I can now do a comparison with the two headphones much to my audiophile titillation. 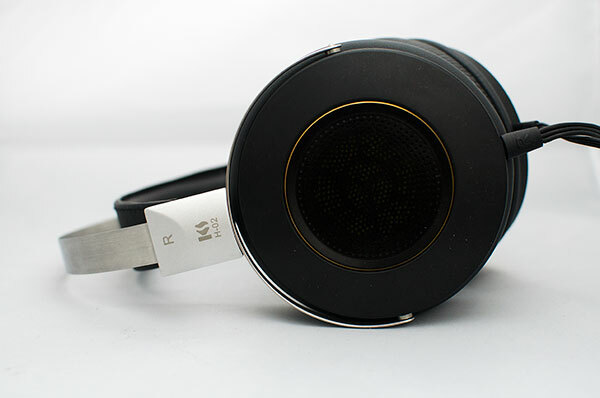 At the time of writing I am clueless on the price of the new headphone so sorry guys please direct your query to Kingsound who will be more than happy to help you out. So when I first had a look into the system the idea seemed pretty simple. Get the solid state M-10 electrostatic amp or the the tube variant, the M-20, for a whole lot more and put it on with the same headphone – the KS-H1. Now for Doctor Who fans might same awfully familiar to Cybermen style helmets but to the rest of the world they do seem a rather like a cheap looking plastic variant of what most of us think an electrostatic headphone should look like. My exposure to electrostatics has been varied but most likely termed as short lived with the 3030 system by Stax lasting tops a year. I have tried the Baby Stax 1 and 2 variations (ear pain alert, all mids) as well as road tested at meets the Koss and mighty Stax 007 (before the 009 was release) systems. Nothing pleases me more than hearing an electrostatic system wonderfully well executed but like a lot of people the price can often be a barrier to many hoping to get stuck into a ‘stats” setup. Regardless of how great or average you may perceive the new Kingsound system to be, and we will get into that later in this review, the fact they can churn out a system like this for around 8900 upwards is a good achievement and brings electrostatics that bit closer to the fiscally challenged audiophiles like you and me. That I can fully applaud Kingsound for since they are normally more well known for highly respected budget busting electrostatic speakers ranging from $1500 to $12000 and you would not have expected them to do a budget headphone system using the same technology. Sadly I did not manage to get my hands on the more expensive tube variant, the M-20 but I may do so later next year all being well. 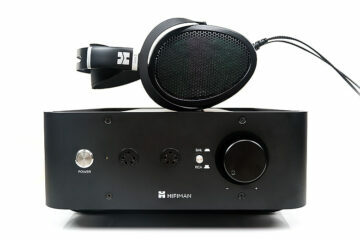 For now this review will focus on the KS-H1 and the solid state M-10 amp as well as that new headphone they sent over, the KS H-02. Really good pricing for an electrostatic + amp combo. Its pretty competitive for sure though when we opened up the SS amp we felt there were a few corners cut especially on the cooling. I would like them to just take it a bit easy on the headphone side now with the H3 looking good and bring out a new SS amp to compliment the H3. Seems like a generally good headphone. Down side is that I hated the Koss 950 system and really didn’t enjoy it even though it was a great buy at that price in price and performance, so if it was at all comparable I’d probably hate it too. Spoiled by planar bass I guess. The only thing I loved about the staxx’s is that effortless liquidity, but i’d prefer the HD800 for stereo imaging and something like the LCD-3 for the low end. Why can’t they just make me my own perfect headphone hehe!!!! Great review though, nice to see some reporting on this one, had my eye on it for a while and still might try to get one myself. Thanks for the comments. I actually think the bass on this will please planer and dynamic fans alike. The 950 is more airy and speedy for me than the Kingsound which is warmer, more laid back and the bass kicks in just enough. I think it won’t compare to the higher end dynamic and planer which has come a long way in the last two years but for a 1k budget it does the job nicely. Hmmmm… One thousand seems good for a ‘stat and amp, if the build quality is good enough to not have defects. At that price, I wouldn’t mind having to scrounge around for ways to minimize AC line noise or hum, as long as those are fixable. Well the hum has been fixed with the new headphones so I dont think you need worry about that. I don’t know how close you followed any discussions on the Stax SR009, but they’ve had some sample variability problems, and they’re $5k USD for just the headset. Same could be said for most manufacturers in this business to be honest.